Cold and wet weather notwithstanding, it'll be boating season soon enough. And, it's a great time to buy a boat, so why not splurge at the 59th annual Portland Boat Show, Jan. 9-13 at the Expo Center. Shown by dealers, there'll be a full array of Northwest vessels from small inflatables and nonmotorized models to fishing, pleasure, ski and wakeboard boats, cruisers, pontoons, sailboats and yachts. "All forms of boating are embraced in the Portland-metro area from whitewater kayaks and rafts that challenge the upper Clackamas River in treacherous and technical whitewater to a thriving yachting community that calls the Columbia River home. On any given weekend in the summer, locals can see sail boats hunting the wind, pontoon boats filled with families putting through downtown, ski and wakeboard boats towing their passengers, kids in canoes exploring the east side of Ross Island, pleasure boats cruising the 27 miles of Willamette from the falls to the mouth, bass boats quickly skipping from favorite spot to favorite spot, speedy personal watercraft jumping wakes and zipping back-and-forth, and fishing boats of all sizes and descriptions either anchored or slowly trolling hoping for a bite. "And, generally early, at first light and the hour or so beyond, the Columbia and Willamette around Portland plays host to water skiers looking for glass-flat water. They share the water with scull teams, dragon boat racers and kayakers all looking for the same water." Can you see it now? Boating nirvana. Not to mention that every spring sees welded aluminum boats — a top seller at the Portland Boat Show — flooding the rivers as anglers fish for spring chinook salmon. "Many of these aluminum boats are built in Oregon; most are built in the Northwest and are used primarily for fishing. The marriage of these unique boats and spring chinook has evolved over the past 70 years, changing from small wood or fiberglass boats to these heavy-gauge welded aluminum models," Carskadon says. The Portland Boat Show also is a place to purchase boating accessories and for Oregon State Marine Board information, including registrations. Among the highlights: Sundance Marine will display a 46-foot Prestige 460; SK Northwest will introduce Sea-Doo's new Fish Pro personal watercraft for fishing; Bentley's Boat Tops will celebrate its 50th year at the show; and Schooner Creek Boatworks will return with its kids' boat building area. 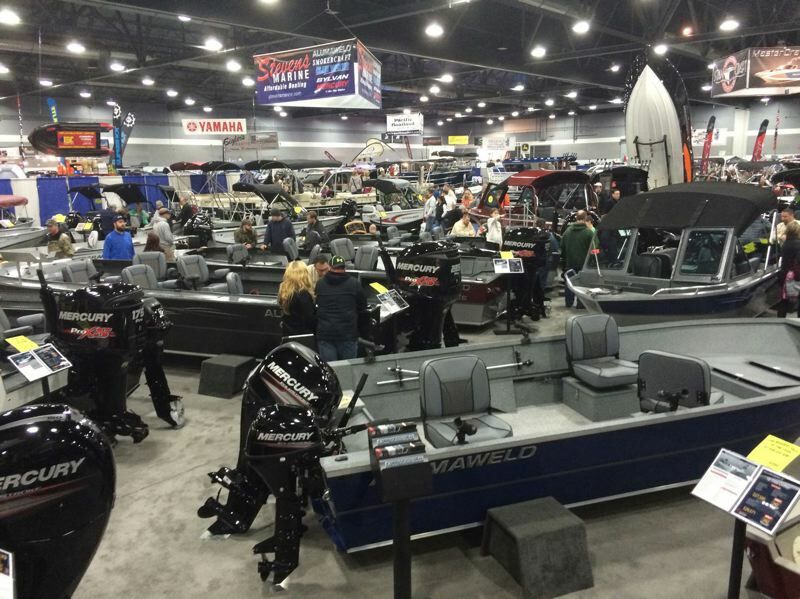 The Portland Boat Show takes place 11 a.m.-9 p.m. Wednesday-Friday, Jan. 9-11; 10 a.m.-8 p.m. Saturday, Jan. 12; and 10 a.m.-6 p.m. Sunday, Jan. 13, at the Expo Center, 2060 N. Marine Drive. 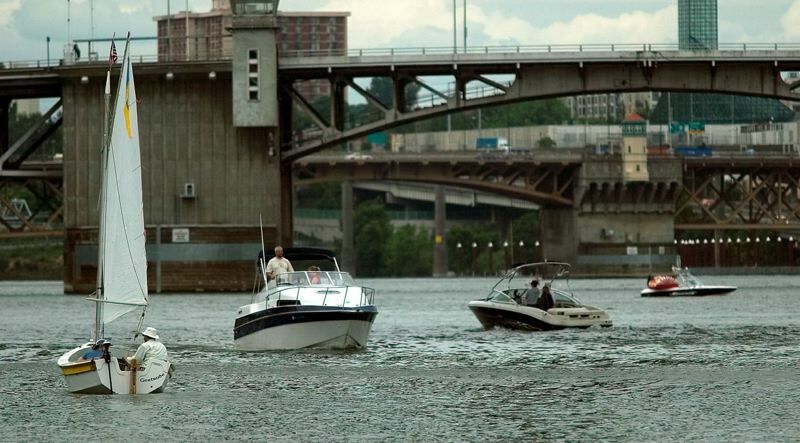 Admission is $10 ($10 parking); a 2-for-1 discount admission coupon is available at www.PDXBoatShow.com and attendees can park for free after 5 p.m. Wednesday-Friday. For more: www.PDXBoatShow.com.